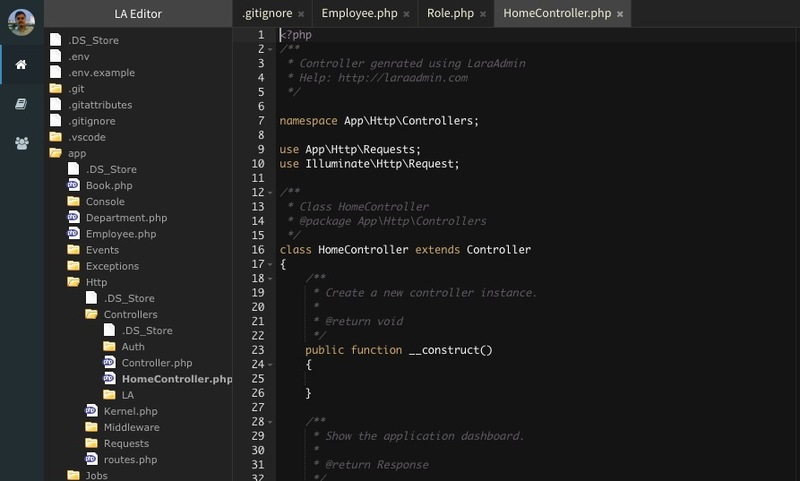 LAEditor is Code Editor for LaraAdmin which is a Open source Admin Panel for Laravel based Applications & CRM's. Documentation for the LaraAdmin can be found on the LaraAdmin website. If you discover a bug or security vulnerability within LaraAdmin, please send an e-mail to Ganesh Bhosale at ganesh@dwij.in. All requests will beaddressed promptly. If you come across any issue/bug please report them here.